Wonderful autumn color and reflection! The reflection does it for me on this one-really creates a fall mood and sparks up the picture. Nostalgic seems to be the mood. 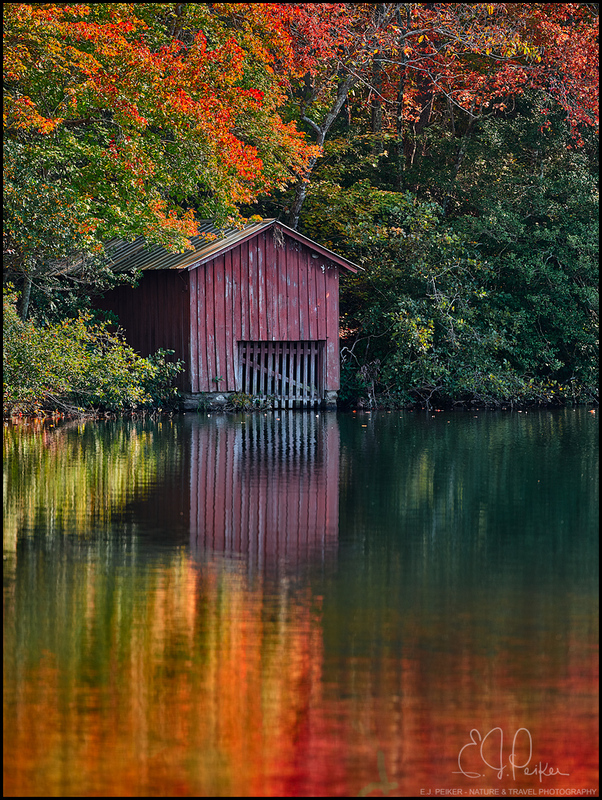 I really like the reflection part of the composition, with the straight lines of the boathouse fading into the shapes of colors. Beautiful composition and colours, the reflection makes this one!